Recently, I’ve been struck by the need to ensure there is clarity on end point assessment and external quality assurance (EQA). This is the process of monitoring end-point assessment in practice to ensure that different end point assessment organisations (EPAOs) are assessing apprentices fairly and consistently. This is a top priority for the Institute. As the body responsible for upholding quality in apprenticeship standards, we’re committed to making sure that EQA is in place and is robust. In some cases, we provide the monitoring ourselves, but it’s also possible for Ofqual, a professional body or an employer-led group to conduct EQA. Employers – through the Trailblazer groups – can choose which provider they prefer. Around 30 organisations have been nominated by Trailblazers to deliver EQA. EPAOs understandably want to be assured that they are not going to be subject to different EQA regimes from these different providers. To make sure delivery is consistent, we’ve taken a number of steps. Firstly, we’ve set out a framework for what EQA should cover, which can be found on our website. This means that all EQA methodologies – whether our own or those provided by other organisations – will share a common basic structure. We make sure the organisation has the skills and processes in place to deliver EQA and, more importantly, they do not have any conflicts of interest that would prevent them from carrying out EQA fairly. A conflict of interest might be that the organisation in question is involved in training on the standard or that they are part of a group of organisations that also includes assessment organisations. Some conflicts can be managed, but some cannot. For example, if an organisation is also registered to act as EPAO for a standard, we do not believe that they could impartially provide EQA on that same standard. In this case, we’ll work with the Trailblazers to look for an alternative provider. We also review the proposed methodology for conducting EQA to ensure that it aligns with our EQA framework. And make sure it’s proportionate and appropriate to the standard(s) it will be used for. So far we’ve approved four organisations to act as EQA providers. And of course, our role doesn’t stop when we’ve approved an organisation to deliver EQA. We’ll continue to work with these organisations to make sure that they continue to provide a robust and fair service. Alongside our own EQA provision and Ofqual’s regulatory regime, the four organisations we have approved so far cover a wide range of apprenticeship standards. More importantly, it means we have EQA in place across 94% of all end-point assessments due to take place in the next year. We’re working with other organisations that have been named in assessment plans to agree their approaches, prioritising those plans where assessment is imminent. Do our Eggcellent Easter Quiz! Managing C of I is vital and you have clearly stated you monitor this within your statement. Within the industry I work in, you have approved an EQA who also have a large apprentice provision that they are EQA for. Do the Ifa or the EQA provide documented evidence or processes on how such a conflict if controlled or managed? I look forward to any response. Thank you for your interest in the Institute’s work on external quality assurance. As the article indicated, conflict of interest is an important issue and we have taken a pragmatic approach. 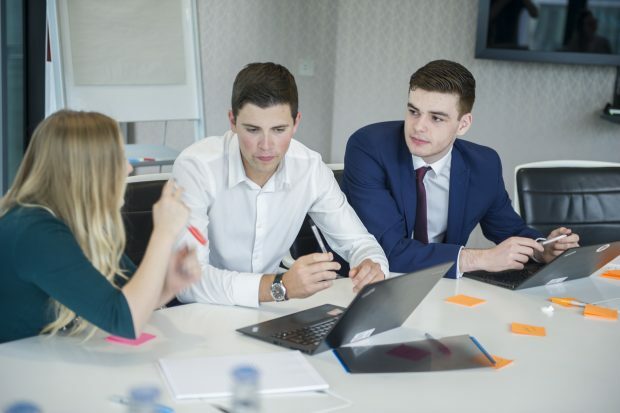 Where an organisation delivers apprenticeship end-point assessment itself, or is part of a group of organisations which includes an organisation on the Register of End-Point Assessment Organisations, it would not be proper for the Institute to recognise that organisation to deliver EQA. Even if the organisation was able to operate EQA completely separately from assessment activities, it would always be open to claims of unfair behaviour. The quality of training is not the focus of EQA and is subject to Ofsted inspection. We have made the decision, therefore that providing apprenticeship training should not automatically prevent a body from delivering EQA. We do, however require the organisation to explain how it will manage any potential conflicts and the Institute will oversee the situation through its ongoing monitoring of all EQA providers. We will be providing further information and guidance on EQA over the next few months.